Many of our guests love to bring their furry “extended family” members on vacation with them. Because of this we want to assure you that we understand that desire. We have a beautiful dog that is very much a part of our family and loves to go where we go. And we love having her with us. So Doctors Orders is a pet friendly beach house rental for well-behaved dogs with responsible owners. We checked on “tripadvisor vacation rentals” for all available one week rentals in Destin Florida. That site quickly presented 3133 available rentals. However, when we checked on “pet friendly rental”, the number drops to 203 available. That’s just 6% that will consider renting to folks who want to bring the whole family, pets and all. When renting with your pet as part of the group, we do have some extra rules/guidelines that apply. First, please let us know at the time of your reservation if you will be bringing a pet. There is a non-refundable pet fee of $100 per dog, but when you consider the cost of leaving your dog in a kennel, that is not bad. If you don’t pay the fee but later decide to bring your pet, we trust that you will let us know and make the adjustment. In the Atlanta, Georgia area kennel fees range from $35 to $55 per night for a full week stay. That’s $245 to $345 additional vacation expense. So far we’ve only touched on the financial part of the things to consider. Let’s talk about what may be even more important. Leaving a dog in a kennel with strangers and with other dogs can be a bit of a coin toss. First, you have no control over how things are run in your absence. Second, you cannot control how other dogs will behave with the other dogs if your pet is placed in a common “play” area during the day. Third, you don’t know how leaving your pet will affect them emotionally, or how it will affect their relationship with you. 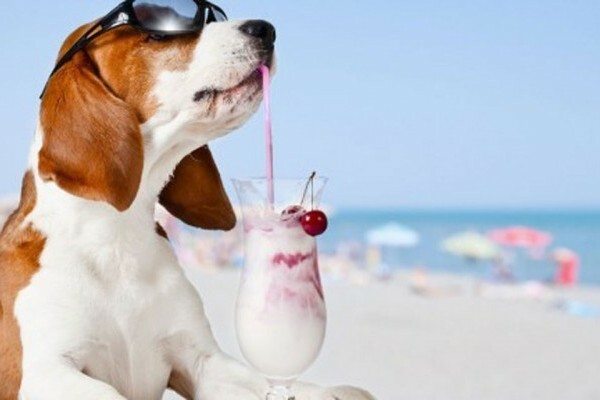 And finally, if you are in Destin Florida and your dog is in some Pet Resort in Alabama or Tennessee, what happens if you get a phone call? “Sorry, but your dog refuses to eat or drink and we are beginning to be concerned.” We’re pretty sure what we would do. We have a few guidelines that help everyone to be on the same page. 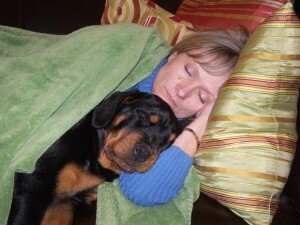 This will help us to continue to make our Doctors Orders a pet friendly beach house rental. Please discuss your dog or dogs with us in advance. Generally, we would approve of a maximum of three kennel-trained dogs. However, no puppies are permitted. Of course, the guest reserving the property and the dog owner are responsible for any and all damages caused by the dog(s). When you go out to the beach, or out for dinner and dancing, during your beach house stay at Doctors Orders, we recommend all dogs be crated while you are away from the house. 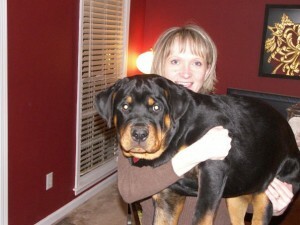 This helps them avoid separation anxiety and helps prevent property damage. Also, it is important that your dog not disturb the neighbors, whether at home with you or crated. 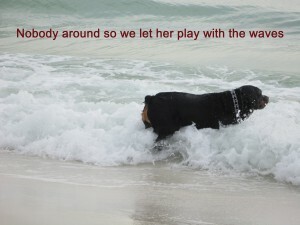 In Okaloosa County dogs are not permitted on the beach and they must be on a leash when outside per county regulations. As in most communities, dog owners are responsible for removal of their pets’ debris/waste and are subject to city or county fines if not removed. We ask that the dog owner affirm that dog is in good health and does not represent a health hazard to anyone. All vaccinations should be current. Destin loves pets too, so they should be right at home. 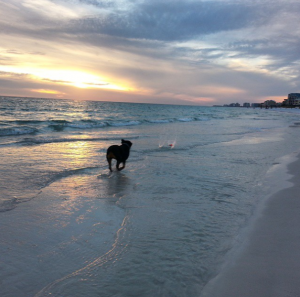 The Destin Dog Park located at 4100 Indian Bayou Trail, is just 3.7 miles from our door. In addition to the Destin Dog Park, you will find wonderful pet stores, grooming services, and even a doggy day care center. All Florida state parks allow leashed pets in designated areas, with lots of trails to sniff and explore. These include Henderson Beach State Park in Destin, Grayton Beach State Park off Scenic 30A, Topsail in Miramar Beach, and Deer Lake near Seacrest. We’d like to offer a few words of caution when you bring your dog to Florida though. Getting a bit closer to the equator means getting closer to the sun as well. Please be sure to have plenty of water for your furry friend. Especially when going out for extended walks in some of these state parks. Never, ever leave your dog in a car, unattended, even with a window open for ventilation. Dogs cannot sweat like humans, so they can only cool off by panting and sweating through their paws. Temperatures inside a car can quickly reach 160°. Even on a fairly cool 60° day the temperature inside a car can become dangerously high. And parking in the shade or leaving a window open an inch or two just won’t help enough to protect your dog. There are lots of sidewalks in Destin Florida. Therefore, if you don’t want to drive to one of the state parks you can safely walk your dog just about anywhere. Just not on the beach. Keep in mind that the sidewalks may also accommodate other folks walking. At times there may be a higher than usual number of folks on bikes. Probably more than where you live. Folks may only think about riding a bike once a year, while on vacation, and then possibly as an activity to do with the entire family. Most of the time though, you will enjoy walking anywhere in the area.with or without your dog. Enjoy your pet friendly beach house rental at Doctors Orders.